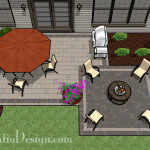 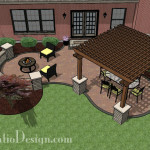 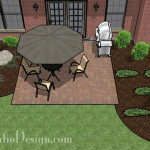 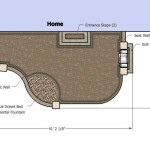 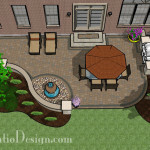 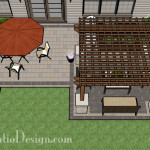 This 450 square foot patio offers several amenities. 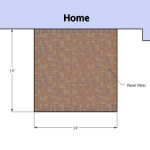 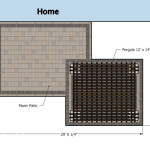 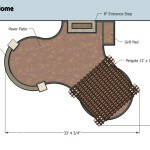 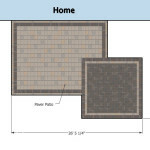 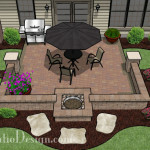 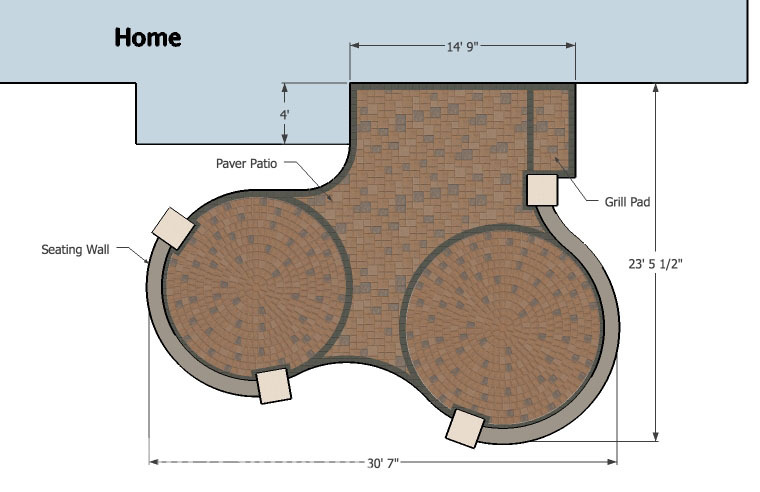 It has a specific paved area for a grill. 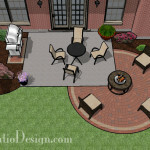 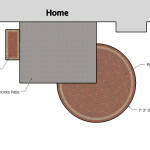 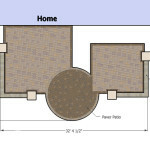 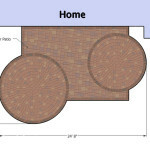 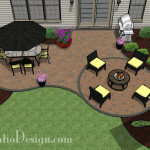 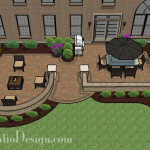 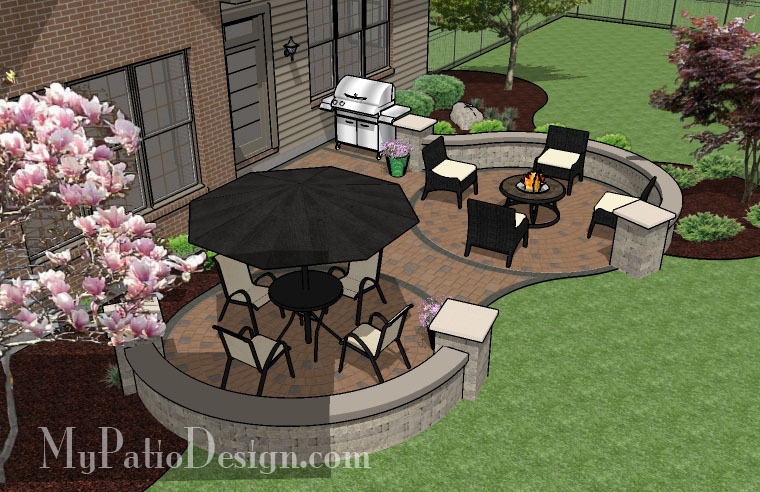 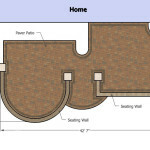 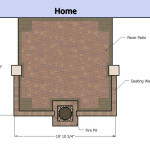 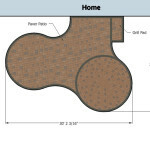 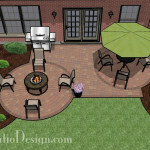 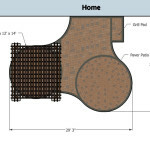 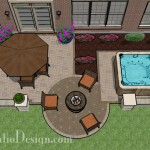 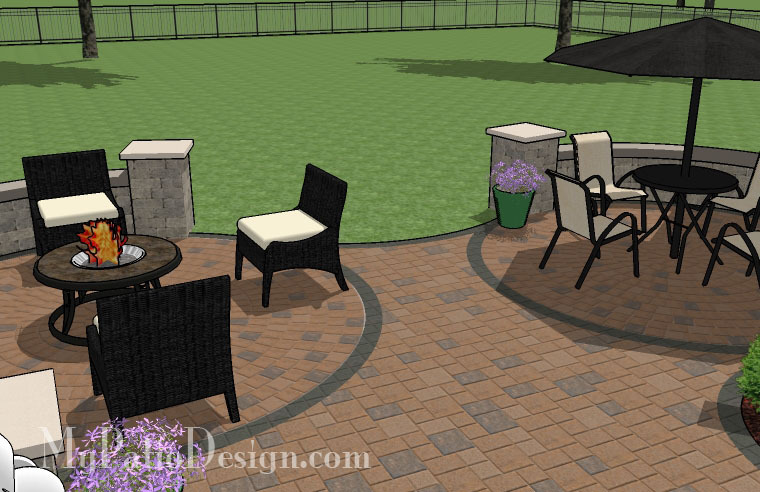 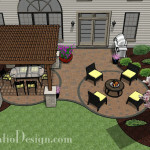 The two circles are perfect for a dining table and fire pit. 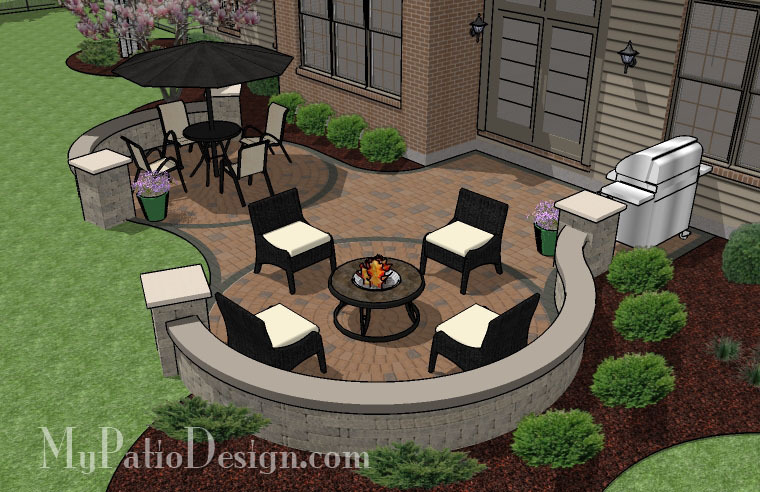 The seating walls create a entrance way to the backyard. 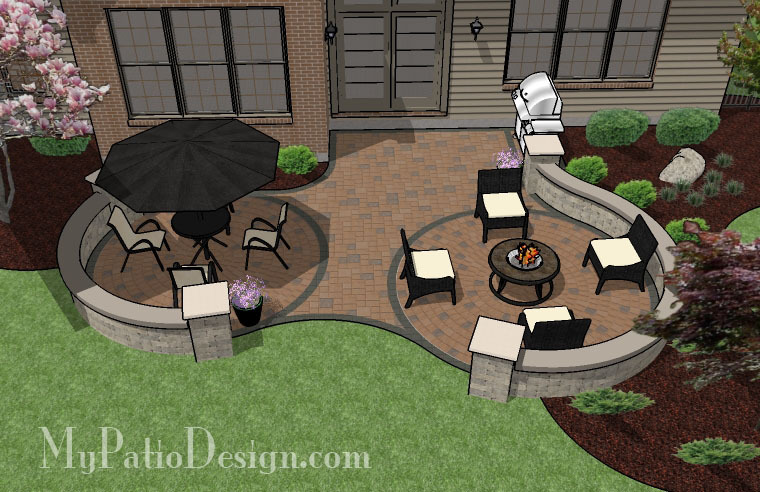 This patio is perfect for spending the day outside relaxing.